Denys Eyre Bower (1905 - 1977) bought Chiddingstone Castle in 1955 to house his unique collections, and to fulfill his wish of sharing them with the nation. 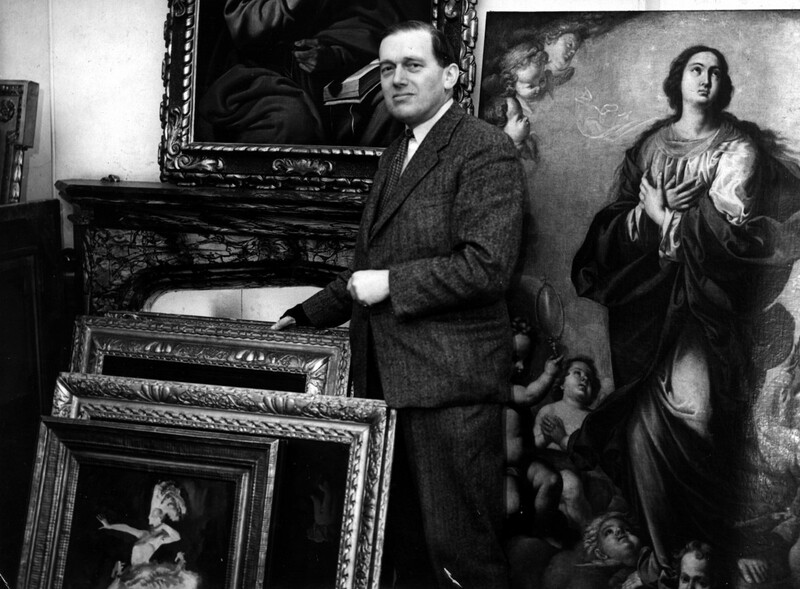 Denys was a gifted collector who devoted his life to finding fascinating objects and works of art. He displayed his objects throughout Chiddingstone Castle, which was his home until his death in 1977. He intended to leave his home and collections to the National Trust, but they refused it as it didn’t come with an endowment. A private trust was then created with the mission of preserving his collections in their original setting ‘for the enjoyment and learning of future generations’. Denys’ interest was inspired by his father and grandfather who were both collectors of Asian art. He purchased many of his items at auction, taking advantage of the economic downturn of the 1920s and 1930s. Japanese objects in particular were not fashionable at the time and Denys would always find good deals. His extensive research and excellent eye led him into amassing a unique collection. His vast collection of objects, includes Japanese lacquer, armour and swords; Ancient Egyptian aretefacts; Stuart & Jacobite papers, portraits, and memorabilia; and Buddhist objects. Thanks to a volunteer-led project to document the vast book collection, Denys’ Library was open to the public in 2015.